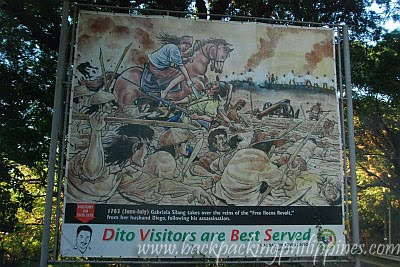 Just along the national highway in the town of Santa, Tutubi chanced upon a billboard marking the historic pass occupied by Ilocano fighters under the command of Diego Silang, then later succeeded by his wife Gabriela. 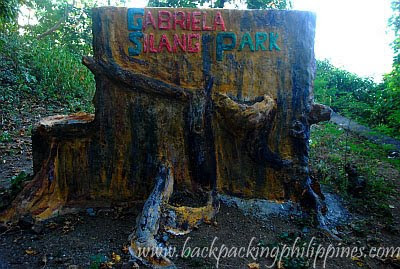 Gabriela Silang Park occupies a strategic location overlooking the sea on a promontory, beside Imelda Park (yeah, listed as a tourist attraction in Ilocos Sur website but actually badly maintained with very few people, mostly locals, present). 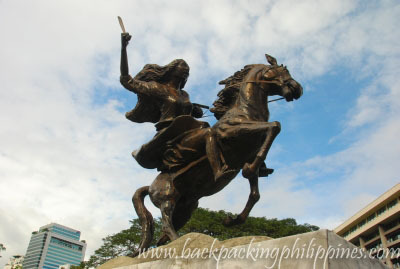 a marker nearby states (in Filipino): "dating Pideg at ginawang Diego - Gabriela Silang noong 1976. Ipinagawa ng mga Pransiskano noong 1600. Ginamit noong 1600 sa pag-aalsa nina Andres Malong at nina Diego at Gabriela noong 1762 pagkamatay ni Diego noong May 28, 1763. Ang pag-aalsa ay pinamunuan ni Gabriela, pagkaraan ng ilang sagupaan as sinalakay ng mga kastila and pasong ito. 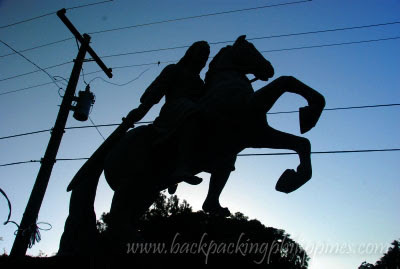 Nadakip si Gabriela at ipinabitay noong setyemre 20, 1763"
The Gabriela Silang Monument near the entrance of Imelda Park (in silhouette) due to late afternoon stop by Tutubi, with the heroine astride on a horse. I also planned to visit that site in Ilocos Sur pero d na kaya, I did the watch tower pero ayun, as in badly maintained xa. nagulat ako, asa loob ng bakuran ng isang bahay at may mag sinampay sa palibot. :( D ko pa xa na blog,as usual, backlogs again. thanks for sharing this Tutubi. It's great that you know and blog historical dates like this that have been forgotten or unknown to many,including me. Thanks for reminding us.